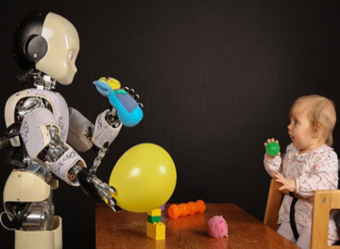 Recently we have witnessed the first robotic agents performing everyday manipulation activities such as loading a dishwasher and setting a table. While these agents successfully accomplish specific instances of these tasks, they only perform them within the narrow range of conditions for which they have been carefully designed. 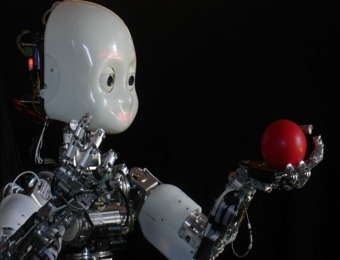 They are still far from achieving the human ability to autonomously perform a wide range of everyday tasks reliably in a wide range of contexts. In other words, they are far from mastering everyday activities. 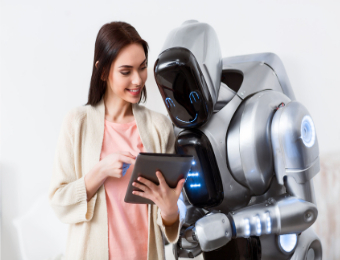 Mastering everyday activities is an important step for robots to become the competent (co-)workers, assistants, and companions who are widely considered a necessity for dealing with the enormous challenges our aging society is facing. The first principle is narrative-enabled episodic memories (NEEMs), which are data structures that enable robotic agents to draw knowledge from a large body of observations, experiences, or descriptions of activities. The NEEMs are used to find representations that can exploit the structure of activities by transferring tasks into problem spaces that are computationally easier to handle than the original spaces. These representations are termed pragmatic everyday activity manifolds (PEAMs), analogous to the concept of manifolds as low-dimensional local representations in mathematics. The exploitation of PEAMs should enable agents to achieve the desired task performance while preserving computational feasibility. The vision behind EASE is a cognition-enabled robot capable of performing human-scale everyday manipulation tasks in the open world based on high-level instructions and mastering them.